Forgot your password? Not a member? Join Now! The Conference on Consumer Finance Law (CCFL) is a non-profit organization founded in 1926 by members of the legal profession and the financial services industry to offer educational services, publications and research relating to consumer financial services law. A Governing Committee of members establishes policies and directs the activities of the CCFL. The CCFL publishes the Consumer Finance Law Quarterly Report, a law journal that examines legislation, regulations, court decisions and related legal developments in the consumer financial services industry. The CCFL sponsors the Frederick Fisher Memorial Program, a debate among industry representatives, consumer advocates and government officials on a topical issue affecting consumer finance. 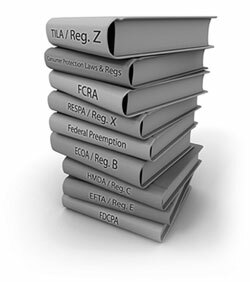 This program is offered annually in conjunction with the American Bar Association Consumer Financial Services Committee at the spring meeting of the Business Law Section. Benefits of membership in the CCFL include a subscription to the Quarterly Report, as well as online access to the current and recently published volumes. Join now. Conference on Consumer Finance Law 2018 Frederick Fisher Memorial Program: Policy By Twitter: Is the Demise of Consumer Financial Regulation Merely a Hoax? ... view all titles in this issue. Members: Login above to view articles.